Signs of spring are popping up everywhere, and the occasional warm day makes everyone anxious to be outdoors. The Indianapolis area has some great places to indulge in easy hiking, an activity both you and your kids are sure to love. 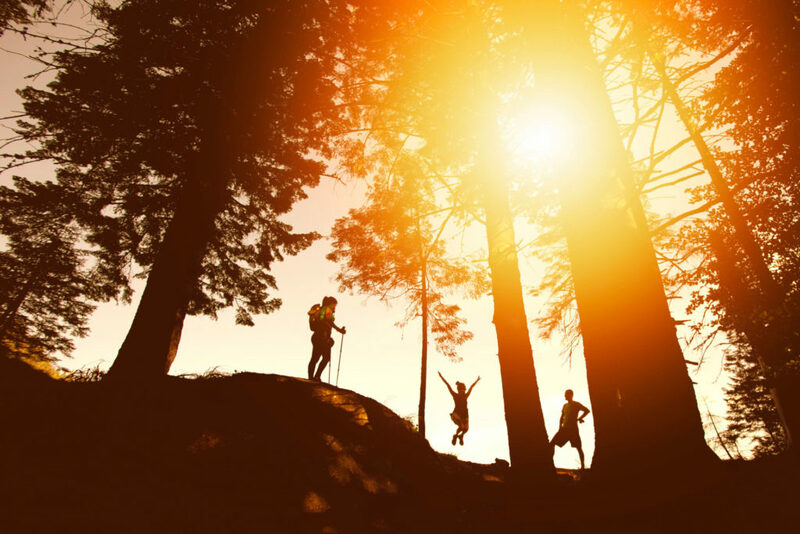 Take to the trails, and head for hiking success with these tips and tricks. Nothing interrupts a nice hike like an unexpected rain shower or not having enough (or too many) layers. Take a minute to see what the forecast holds, and plan accordingly so everyone remains comfortable and dry. You can’t go wrong with light, removable layers and comfortable, sturdy shoes. Little legs sure can tire quickly, but a few little snacks along the way will keep their spirits up and motivation high. You can pack a few favorites in resealable baggies and stash in a pocket or backpack. Some hiking enthusiasts pack special “power boosts” to be doled out when necessary—think something small and easy to manage, such as Tic-Tacs or mini cookies. You won’t need to bring gallons for a short afternoon hike, but it is good for each of your hikers to have a bottle of water along to sip from during breaks. Pop them in a backpack or make your own DIY bottle holders. Once your little ones get on the path, the forward progress may be slow going. Kids love stopping to check out every little blade of grass and pebble they see. Indulge that excitement and curiosity along the way, and when you need to get further down the trail, assign a leader and take turns being in charge. Being out on a hike provides a unique opportunity to talk and bond with your kids. Keep the conversation flowing by asking them about what they see while walking, catching up on their school world, or taking turns telling each other stories. Once you get them talking, the walking will take care of itself. There are many great places to hike in the Indianapolis area, and we’ve listed a few here. But don’t forget, you can always urban hike down your own street and explore that way too.